How you experience life as a volunteer with Bolivia Digna will be different for each person and will be very much dependent on how much time you are able to spend here, what choices you make while you are here, what experience you bring and what preconceptions and expectations you have. We can promise you that it will not be what you are expecting, whatever that is! Come with an open mind and a positive attitude and we can also promise that it will be intense, fun, stressful, exhausting, at times frustrating, emotionally challenging, but overall very rewarding. Click here to read about a volunteer’s experience! “ This morning I have to go to the kindergartens of one of Bolivia Digna's communities of action. I get up at around 7:30 to get breakfast downstairs and I'm ready to leave at 8.15 in trufi (the local public transports or collective cars) to the school. I'm getting there at 9.00, the teacher is here and the activities have started already. I asked the teacher where she needs more help and I then go to a table to help the children with the tasks they need to do and explain them again if necessary. At 10.00, there's a break and the children can play outside! I play with the children but above all I make sure they don't go too far. We then start again the class. Today, I have prepared, after talking to the teacher, a special activity on the family. The children will have to draw a family tree. For the smallest ones, they will simply have to stick small paper balls on an already drawn family tree and tell me the names of his parents, brothers, sisters, etc. At noon, all the kids go back home and I come back to the Foundation. This afternoon, I rest a little bit after spending 3h with the children! But I will also help the association with administrative and communication tasks. Today I have to finish preparing an example of sponsoring file. Tomorrow, I will go working with the children in the afternoon"
"I get up at 8.00 today and I'm going for breakfast. At 10:00 we have quick a team meeting to make sure everyone knows what will happen today on the projects. On Mondays we discuss plans for the week, on Fridays we evaluate how the week went and argue in a friendly way about ideas to improve. After the meeting I finalize preparations for my project for that afternoon. One of the biggest challenges, whatever the project, is to come up with content that is engaging, interesting and educational for all ages. I run my ideas past the teachers and a couple of the volunteers who will be working with me and make some last minute changes to the materials. At 13:00 we are joined for lunch by the local volunteers. Lunch is one of the highlights of the day as Doña Soledad, our cook, will have conjured up one of the local specialties. We have a different meal every day. As it´s my turn to clean today, I help clear the table and wash the dishes. There is just time to pack a bag with snacks for the kids before the taxis arrive at 14:30 to take us to the projects. We are greeted by an unruly and excited group of kids hanging around the door of the community center all claiming to have got there first (this gives them priority in the snack queue). Ater about 45 minutes of fun, but slightly chaotic class punctuated with laughter, tears and incredulous stares as my bad Spanish leads us all astray, we all agree that we have achieved something and we have a short break before wandering down to the “cancha” for a game of football. We return to the building somewhat hot and sweaty with half the kids complaining about the “arbitro vendido” (corrupt ref) and form what in Bolivia is called a queue to get water and snacks, before everyone goes back home. More information about the accomodation and pictures here. What lodging options are available for volunteers? 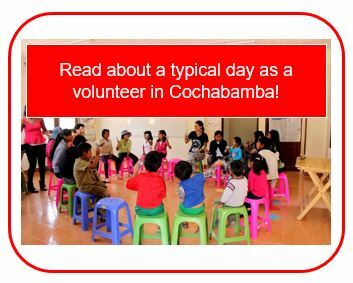 In Cochabamba, in Bolivia Digna's headquarters (two houses located 50m one from the other), we have rooms available for volunteers. You can choose between a private or shared room. Volunteers usually choose that option, which also includes airport pick-up and drop-off, breakfasts and lunches, emergency support 24/7. You can also live with a host family if you prefer. More information about accomodation and pictures here. In other cities (Oruro and Santa Cruz), you will be staying at the organization La Sallle. Bolivia Digna is a small non-profit and non-governmental organisation (NGO), completely sustained by donations. Your donation to Bolivia Digna allows us to provide you with administrative and logistics support before you arrive in Bolivia and during your stay, and covers your accomodation and food. In addition, donations are used to buy materials, support our community programs. 100% of the fees are re-invested in the NGO to support our long-term sustainability. Our work would not be possible without the volunteers' work and support coming from donations. To know more about the fees, don't hesitate to get in touch with us at info@boliviadigna.org For Oruro and Santa Cruz different conditions apply as the projects are run by La Salle and they are long-term volunteering (one year). Why should I volunteer with Bolivia Digna? We have been working in communities in Cochabamba since 2006 and we have a lot of experience in child protection and education. During this time, we have established our activities, partnerships and connections with local and international organisations. When you become a volunteer at Bolivia Digna, you become part of the team and of our daily work, learning about the true livestyle and culture of the communities we work in. As we are a small team, you will be able to take initiatives and change the children's lives. Does Bolivia Digna accepts groups? Yes! We enjoy working with groups and have worked with many large and small groups over the years. Depending on the group size and the objectives, we will tailor a specific volunteer project. For more information or requests, please contact us at info@boliviadigna.org. How do I volunteer with Bolivia Digna? Please send us an e-mail at info@boliviadigna.org with your CV, Spanish level, availability and project(s) of interest. Do I need specific skills to apply to volunteer at Bolivia Digna? No, everyone is welcome to volunteer with us but you must be 18 to apply. We simply ask that volunteers come with an open mind and flexible attitude! 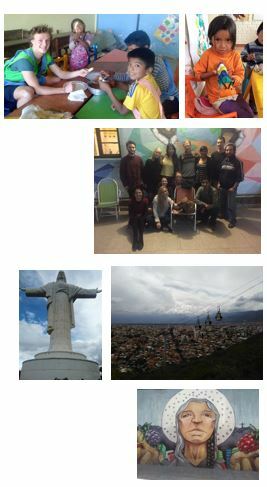 Becoming involved with Bolivia Digna is an excellent opportunity for anyone interested in International Development, Non-Profit Management, Social Change, Education and the Humanitarian field. Speaking Spanish is not a requirement to volunteer at Bolivia Digna. Overall, learning basic Spanish will expand your experience at Bolivia Digna, Cochabamba and the country and you will connect more closely with the people you are working with. We can arrange for you Spanish classes if you wish. We offer short, medium and long term positions, from one month to up to one year. Due to the nature of the tasks, it is beneficial for the children if you stay as long as possible. Volunteers at in Cochabamba Bolivia Digna volunteer every Monday and Friday morning from 10.30 to 12.30 (team meetings) and every afternoon from Monday to Friday from 2.30 to 6.00. You have the possibility to work on the morning in another partner organization. What can I do when I'm not volunteering? 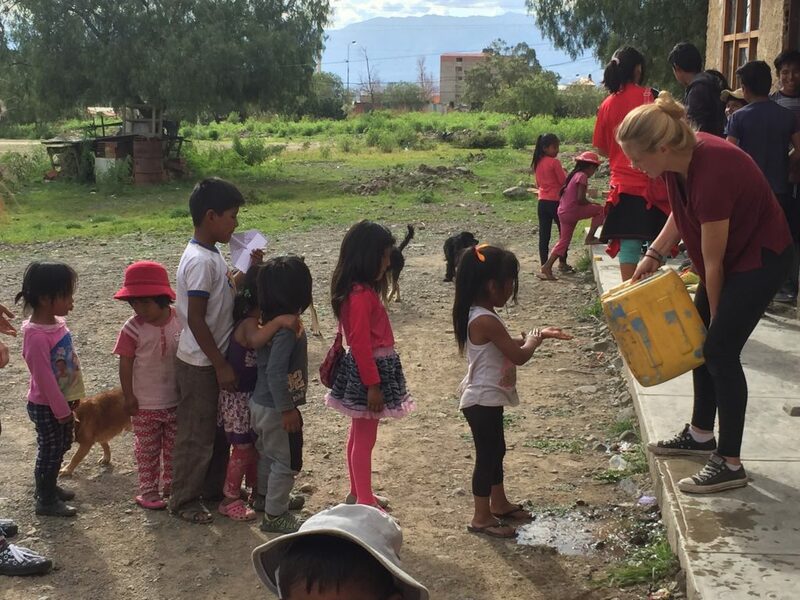 One of the greatest advantages of our programme is that you have time to visit Cochabamba and the country in the mornings and in the week-ends. We have many suggestions for you in the city and in the country! Are there opportunities in other cities with Bolivia Digna? Yes, Bolivia Digna welcomes volunteers all year long and from all over the world. Some months are busier than others, and you are always working with other volunteers, should there be local or international. During your registration process, we can give you more details about the number of volunteers during your time as a volunteer.